The new movie Paddington2, is about a bear from “darkest Peru” who eats orange marmalade and has stowed himself away to London where a nice family takes him in and tries to help him adapt to life among humans. The movies are based on the sixty-year writing career of Michael Bond, starting in 1958 with the final volume being published in his honor and memory this coming summer. I remember reading several of the early versions to younger siblings, and then to nieces and nephews, and then to grandchildren. On the page and on the screen Paddington gets in trouble—of course. And yet he always bumbles through his dilemmas and somehow changes the world around him for the better in the process. Dumbling is a form of charming, disarming nonviolent activism. Paddington’s skill at it makes me wonder if dumbling might help us bridge some of the social divides and isolationism in the US and world today. DISCLAIMER: Dumbling needs to be practiced in largely safe settings, often this is in public or shared space with some allies around to support and protect the “Paddington,” and with a bit of an exit strategy if needed. When I think analytically about it, dumbling consists of several elements. Dumbling is the ability to walk into a situation that is loaded with any number of “-isms”—classism, sexism, racism, etc.—and refuse to acknowledge the power of negative energy by turning whatever happens into a positive. EX: A person of color sits next to a white person on a plane. The white person asks the attendant to be moved. The attendant dumbles, and moves the person of color to First Class, apologizing for the inconvenience—to the person of color. Dumbling actively reframes and “misinterprets” judgmental comments as well-intentioned. Second one responds, “Why thank you! I dig your hair too.” It’s a “drive by comment,” he just keeps going, and remains chipper. Dumbling crosses social congruence, confusing the receiver, and often bringing them into alignment with good intentions—yours, or theirs. Dumbling actually wakes up our creativity, intelligence, and empathy. A young gay/trans/lesbian/bi-racial/multi-ethnic/cross-religious couple goes to visit the conservative mother of one of the partners; the other partner is dumbling—meaning s/he is just going to step into the scene fully expecting acceptance, and acting as though that’s what is happening, no matter what. S/he brings flowers and chocolate. S/he expresses delight at meeting the mother, even if there’s a frown at the doorway. S/he simply takes a place as though the thought of being rejected has never occurred to her/him. Comments and behavior are determinedly perceived as welcoming, and s/he remains gracious and appreciative. What happens next? Well, either the mother has to go ballistic, which is not very socially acceptable, and not likely to happen (unless this is a movie). The mother really doesn’t want whatever her son or daughter has said about her to be truer than true. Or in some kind of confusion, the mother crumbles, and comes into alignment with the dumbling persistence that all is well. The neurological pull to come into congruence is strong. This is a message from the movies that we can take into real life. 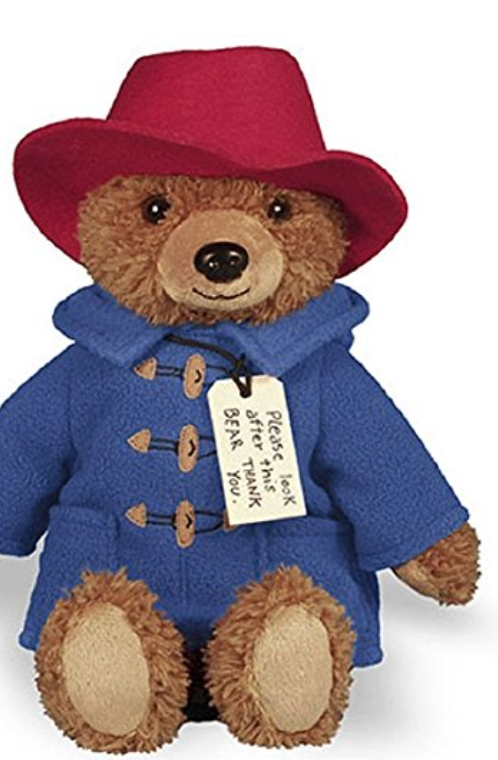 And if we look for the good in one another—well, maybe, like Paddington, we’ll find it. The “other side” will stop being demons in our minds and we will find ways to create a bridge and meet in the middle of it. Paddington says, “In London, everyone is different, so everyone fits in.” Guess it’s my job to make sure that happens in my neighborhood and community. I wouldn’t have made it as a teacher and parent without a smattering of dumbling. Thanks for labeling it and helping us be intentional about using it. Good point, Cynthia: the dumbling has to come from a sense of delight, a willingness to stand in our own open heartedness and act with lightness of being. Wonderful naming with good guidance as we dumble on. Thank you. Brilliant. I think of Aikido moves when faced with a conflictual situation, as a way to divert energy but this takes is a notch up. How did I miss this post? Excellent. Seems to me I’ve seen you do this a time or two when we’ve been together…always with a twinkle in your eye, never a sneer on your face. Here’s to dumbling. May we all dumble on!